Lulu is a dim sum restaurant located in the “Chinatown”, which is a small collection of Asian restaurants and stores along a mile-long stretch of Olive Boulevard near the Inner Beltway. Having been to Drunken Fish and Stir Crazy, I seriously questioned the authenticity of any Chinese restaurant in St. Louis, since the only Asians I have seen in the city are at Wash U. Luckily, Lulu’s delivered. The Lulu experience began with the host dressed in a suit with a Bluetooth earpiece and a red tie, which is the standard for all “seafood” restaurants. I was then promptly seated. Looking around, Lulu passed the litmus test for Chinese restaurants, as there were more Chinese people in the restaurant than white people. Within 10 seconds of sitting down, the madness that is dim sum began. 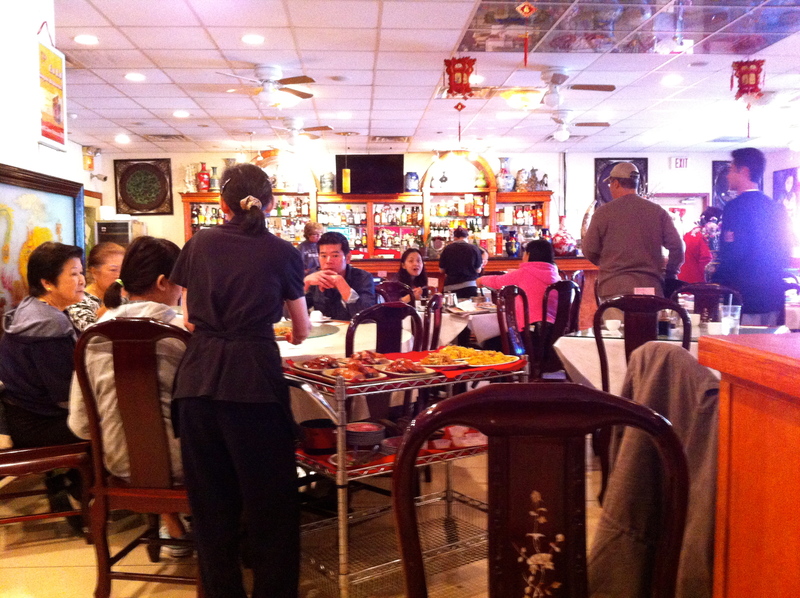 Rather than having waitresses who take your order, in dim sum, the food comes to you. Waitresses pull up with carts of small plates that you can select. Each plate costs between $2-6. Chinese people at the restaurant- a very good sign. Because each cart has different selections, I felt obligated to order something every time, which meant I had a LOT of delicious food. I would definitely return, although next time I will hopefully have more self-control. 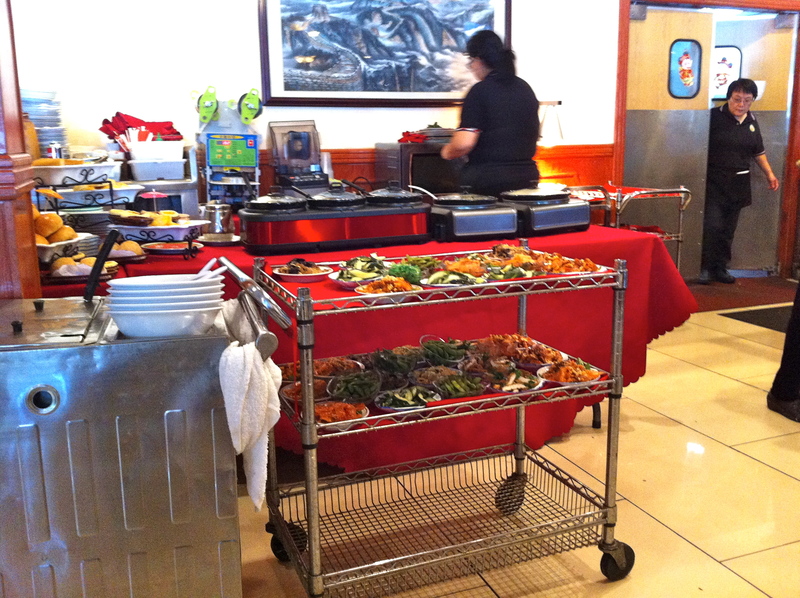 A typical dim sum cart.